Driven by a vision to achieve significant growth in this industry, we are committed towards providing the excellent quality Blackboard Duster. Considered as one of the noted business names, we have come up with a broad and quality rich collection of Black Board Duster. 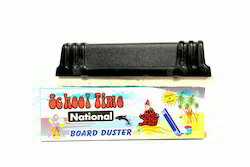 We manufacture dusters, chalk erasers for blackboard/white boards made of finished pine wood in the best and finest quality.we have a good name in the markets for our dusters range.we manufacture in different sizes and can customize according to clients requirement & specifications. Our firm is trusted in the industry for delivering best quality White Table Duster. With the help of knowledgeable experts, we are capable to provide a supreme array of Plastic Black Board Duster, which is known for quality. 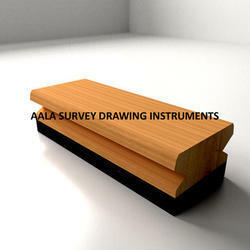 Our offered range is enormously used in the market owing to easy uses.